Andrew saw this one in Janesville, WI. 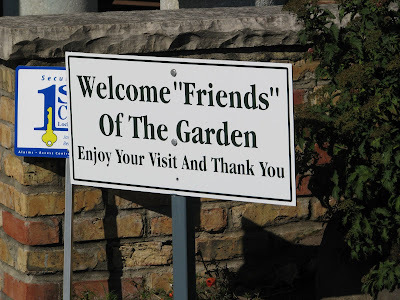 I guess the garden, being inanimate, isn't really that friendly. You're only a friend if you donate. Sure, they act friendly, but where'd all that litter come from? With "Friends" like that, this garden needs no enemies.